Inside: How to Stop Feeling Anxious, we have all felt it. It’s a part of our lives. Here’s a simple successful hack to use to minimize anxiety. Christmas was approaching, and the high school stage was ready for the Sunday School Christmas program. Through the red velvet curtains, I could see about three-hundred people. I hadn’t been nervous until I had peeked from the stage, a familiar feeling was rising within me. How was I going to minimize anxiety within me? My stomach started to get butterflies, and I instantly felt like I might vomit. If I could have escaped, I would have run as far away in that moment. The Christmas play couldn’t happen without the lead narrator. Two months ago when I had agreed to be a part of this, I was feeling fine. Over the weeks I started to have more nervousness. The week before the play, I was suffering from insomnia, every night, and sleep became elusive during the day too. Exhaustion and frustration were present on the day of the program. As I stood there surrounded by the Sunday school kids, I masked the inner tension I was feeling. However, inside I was crumbling and losing power to the jitters. The curtains opened, and I kept myself together, although inside I felt like a battlefield. Adrenaline and nor-ephedrine were firing automatic rounds. I needed to quickly use something to minimize anxiety. I found a secluded place and prayed for strength and peace. I’m not going to lie, the distress remained. The hardest part to swallow was the return of this nemesis- anxiety, I thought I’d licked it over the last few months, but this unexpected, unwanted visitor returned. We all deal with varying degrees of anxiety. It’s a part of our lives, but many of us have more restlessness than others. We all would like it to end, right? Certain times of the month (wink wink), we might feel irrational, irritable and question our sanity. These feelings can overpower us and make us feel like we are alone in the world dealing with this. It’s a known fact that many women experience an increase in anxious feelings during their cycle each month. For those of us with greater anxiety, our cycles can cause a week or more of difficult, frustrating feelings and symptoms. Can I reassure you, you’re not alone; others just don’t want to share or admit it to anyone. Here’s the thing, as I’ve talked to women around my age with children, it seems that more suffer from anxiety than not. While we might have different symptoms such as heart palpitations, sweaty palms or ruminating thoughts, but we can find comfort in knowing we each are struggling. Anxiety doesn’t just cause physical symptoms; it causes life-altering changes. We might be afraid to do something that in the past was a piece of cake. When anxiety is pounding, we might find we aren’t the wife and mothers we want to be. It’s important for each of us to have simple tricks we can do to minimize anxiety so we can live normally. When we fall victim to our anxiety and it starts to steal life from us, we can develop other problems. Hopelessness and fear over this ailment never leaving can cause depression in us. We can lose our self-confidence. Therefore, it’s important to minimize anxiety daily. I expect Him to give me strength and comfort during these anxious times. Especially during the week of my cycle, I will need to be even more intentional about being in the Word and choosing to spend extra time with God. The Christmas play went off without a hitch, although my microphone went fuzzy and lost volume a few times. I prayed for peace and God’s comfort during and nobody could tell how nervous I was. Having dealt with anxiety for six years, I should be past this by now. Therefore, I became disappointed, but God has quieted my heart with these words. He is with me through these moments, even though I felt weak and helpless. As I continue to lean on Him, my dependence on Him grows. Beautiful post Neighbor! I love your site! I can really relate to this. I hate it when anxiety creeps back in, just when I think I’ve got it licked. All of your hacks are very helpful. Music calms and comforts me. I also try to spend time with a positive, encouraging friend. That seems to settle my heart and remind me to respond with faith. Ginger- thank for the comment! Yes, good, understanding friends are helpful! Yes, the reassurance of God’s Word! This year my husband and I start each day with a scripture reading from the Psalms, a devotion and prayer. (We are reading through the Songs of Jesus by Timothy Keller.) It has a calming influence on our day. All of your tips for quieting anxiety are good! Carol- I love that you and your husband are growing in faith together! Starting your day with God is the best way! Anxiety is tricky and often shows up when we least need it, right? 🙂 Thank you for sharing, I too struggle with anxiety especially when I’m asked to speak in front of a new group of people or in a new situation. As I’m studying and preparing to speak there is usually a point I reach where I feel a bit of panic, wondering if I’ll ever be able to pull together what I’m going to share. Then by the next day, I realize that if I build on what I’m studying and preparing it each day, that God always comes through in helping me pull it all together. However, anxiety does not give up that easy. Usually, it comes back viciously the day of my speaking engagement, just before I’m about to speak. Thankfully I’ve learned over time that the “panic feeling” of, “I can’t remember one thing I’m supposed to say and I think I might throw up now” is normal and it’s ok. So now I’ve taught myself to relax with that uncomfortable feeling, knowing that within minutes when I step up to speak, that God will show up and I’m good as long as he keeps showing up and meeting me there. What used to be my sign of fear, is now my sign of faith – or at least that is how I now choose to view it. I’m not sure if that may help anyone or not, that’s just what I’ve learned. I’m like you, you would think by now I would not experience anxiety, but I still do too. I’m so thankful for God’s new grace each day and I loved your anxiety hacks too – they work as well! Visited from Salt&Light. Enjoyed visiting your blog and reading this post. Joelle-I’m so glad you stopped and shared what helps you! I love the thought of changing perspective from a sign of fear to a sign of faith! That’s fantastic! Way to go about pushing through and leaning on God! Absolutely, God’s Word and prayer. I need them both all the time! Thanks for sharing. Donna- I’m glad you stopped by! Julie, I don’t think I ever quite connected the dots that I was slightly more anxious (or irrational!) 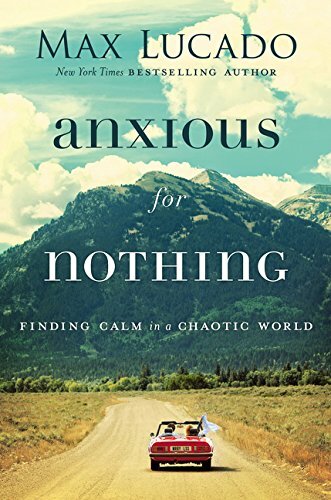 during certain weeks of my cycle– sure I am more tired and grouchy sometimes that week, but I never thought about how my anxiousness was amplified due to that and how I was completely anxiety free a week later! I have several scripture cards stuck in my bible, but I’m seeing they’ll do me a little more good strategically placed in the kitchen, the car and on my mirror! LOL. Have a wonderful weekend and thanks for the tips! Heather- I’ve noticed that about myself every cycle. Instead of thinking something is wrong with me, I can just relax knowing it’s part of being a woman. Yes, the scripture cards placed around can be encouraging and more helpful! Great truth, Julie! “As I meditate on His truths, the tension melts away and God’s love fills me.” Changing our focus from us to Him… Love that, sweet friend. Thank you for the great tips! Crystal- thank you! 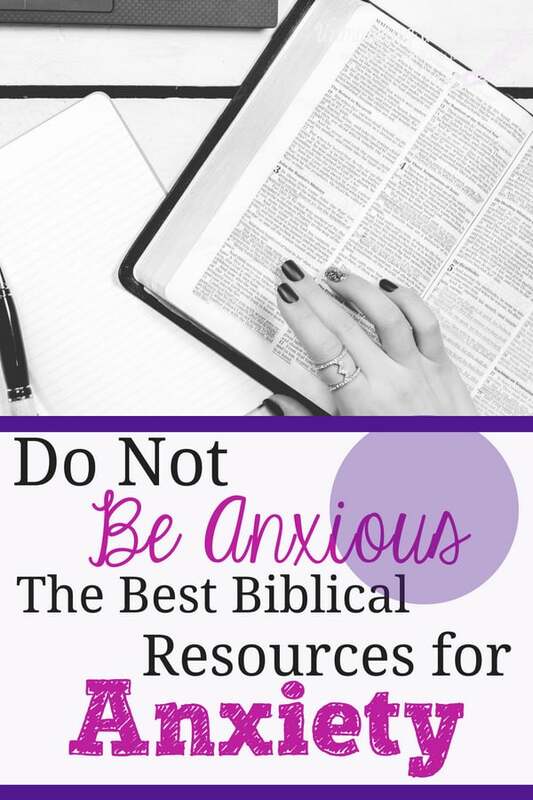 I hope you can use some of these tips when anxiousness is present! Lois- yes, it’s the best weapon! So glad He is stable and always reliable! Love this, Julie! Bible verse cards are a big one! I used to carry around some clipped together in my purse. When I felt like I was strand away from unraveling, yank those beauties out and put them to use! Thanks for the reminder that no one is alone in the battle of anxiety…we all have it from time to time! Great tips here Julie and I LOVE Joshua 1:9, it’s one of my go-to verses as well. Thanks for sharing your insight in the midst of the battle and what help you through it. Happy to share your wisdom! Jill- Thank you for the kind words and encouragement! Blessings to you! These are beautiful, life-giving suggestions for dealing with anxiety, Julie, and you communicate in such a transparent way that most of us can say, “I’ve been there!” I do use verses on cards often, but your idea for morning affirmations intrigues me. Maybe you can do another post on that? 🙂 Pinning this one! Julie, anxiety is one of those tricky beasts that can sneak up on you, so it’s always good to be prepared! Thank you for sharing your 5 tips, but especially your notecard scripture idea! We can keep those in our wallets or in our purses and whip ’em out whenever we need them! Thanks for linking up with #TuneInThursday this week. See you next time! Debbie- yes preparation is the key. We can’t use the weapons God gives us if we aren’t prepared to use them. Julie, these are all wonderful suggestions for dealing with anxiety. 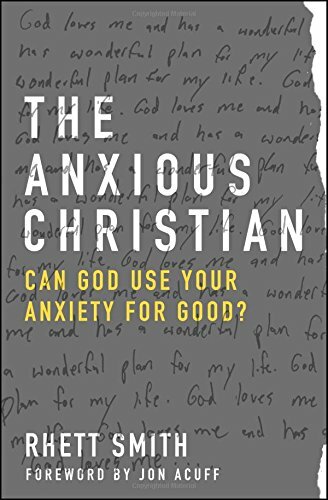 But, as a retired Christian Counselor, may I mention that in some cases, anxiety is caused by chemical imbalances in the brain, & is therefore a treatable, medical condition. Anxiety is hereditary and often runs in families. There is no shame in someone taking a Dr. prescribed anti-anxiety medication if needed. 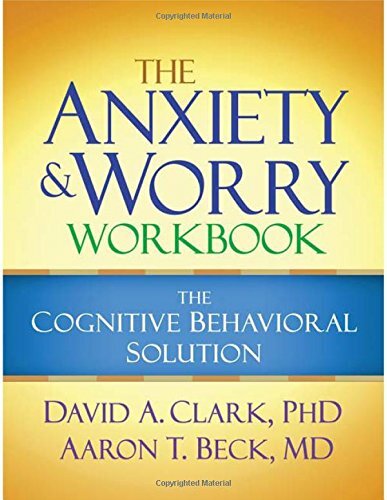 The wonderful result is that a person no longer experiences anxiety in a typically anxiety producing situation. They begin to feel confident and then reach out and participate more effectively in life. In many cases, as their anxiety decreases or goes away entirely, they are able to discontinue the anxiety medication. 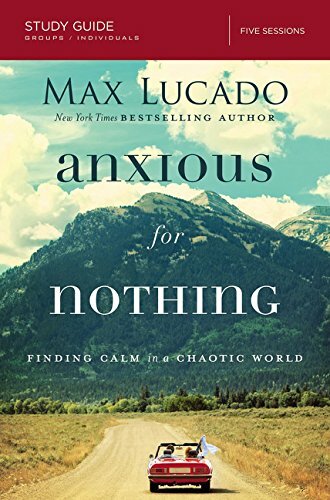 For too long, anxiety has been considered by many Christians as a “spiritual problem”, and so it causes guilt and shame. God bless! 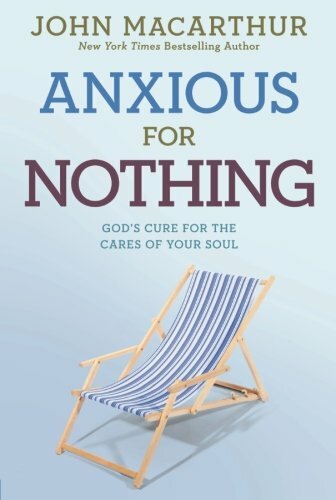 Liz- thanks for sharing and offering more hope for anxiety sufferers! Blessings to you! If I ever have anxiety before stepping onto the stage to speak, I welcome the butterflies and harness the nerves to cause myself to be alert and perform even better. If you see the anxiety as normal, the anxiety sort of goes away. Anxiety is such a common issue for so many women. I struggle with it and the majority of my female therapy clients are coming in to discuss anxiety related issues. It often comes from past insecurities, feelings of worthlessness, and lack of identity. All of those things take time to sift through and heal. In the moment I got through a guided imagery process. Melissa- I agree, it is a huge mental health problem!